I’ve always kept ticket stubs from China travel expeditions. Like most things in China, they tend to be fairly extravagant and they also make wonderful souvenirs. 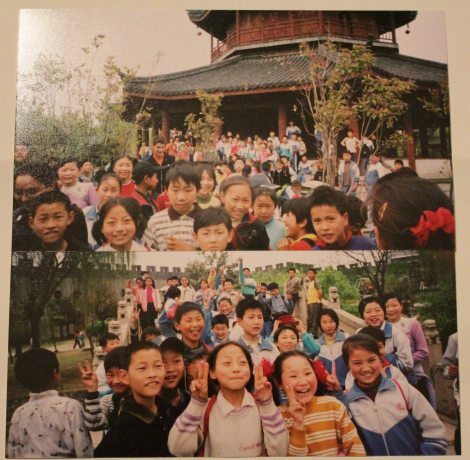 After 9 years of travel to and around China, I’ve certainly got a few; some of these have made it into hefty photo albums; others lie scattered at the bottom of draws and bags, to be discovered by surprise on rainy weekends or long bus journeys. They bring with them waves of nostalgia for me, but I also think they’re just generally fun to look at. Dayan (The Big Goose) Pagoda, Xian. Shanghai’s Yu Fo (Jade Buddha) Temple. This one is one of my favourites. I love the simplicity of the design. But entrance tickets are not just about having pretty pictures and an official stamp. Some tickets tend to feature the landmark looking its very best (naturally). This can mean there is sometimes a slight discrepancy between what you see on your ticket stub and what you see with your own eyes if you tend to visit during the ‘off-season’. 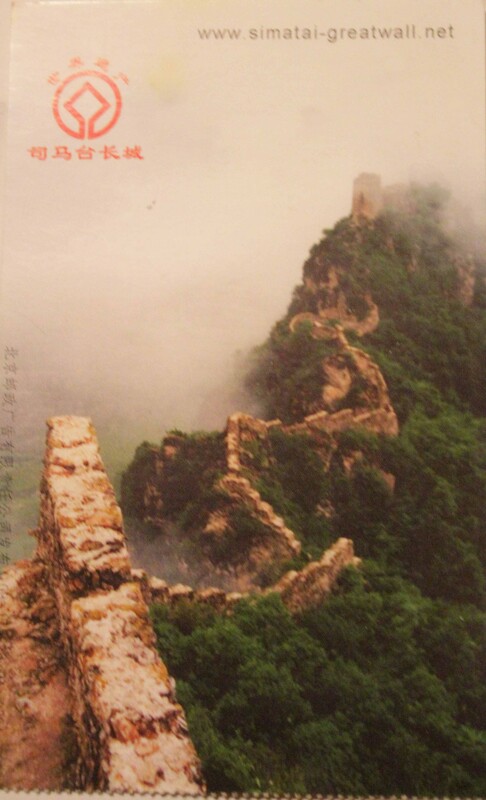 This fab little entrance ticket for the Simatai section of the Great Wall shows it looking mysteriously awesome, cloaked in fog and lush green foliage. 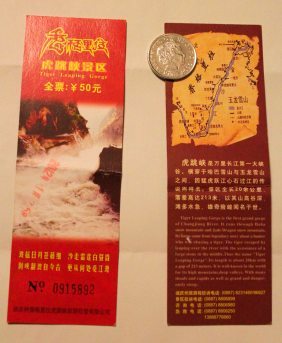 This “map” featured on the entrance ticket for the immense Tiger Leaping Gorge. NB: Map not to scale. 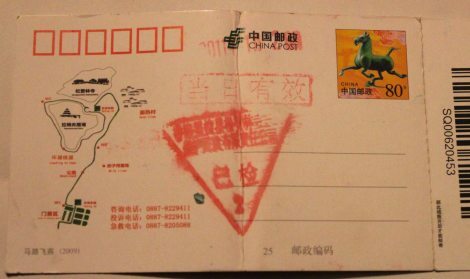 Ticket for the Ganden Sumtseling Monastery near Tibet (back). Ticket for the Ganden Sumtseling Monastery (front). Public transport tickets have less ambitious designs. This humble ticket stub is an old Beijing subway ticket, which I picked up back in 2005 when I went travelling around China for 6 weeks. 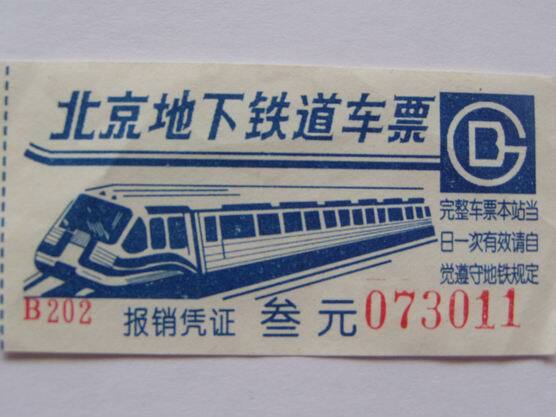 Before the advent of the Yikatong travel card, Beijing’s subways only issued tiny paper tickets. There used to be a single person stood at the exit collecting tickets from the thousands of people who flowed through the subways each day to stop them just dropping them all over the floor. It wasn’t very effective and hundreds of these tickets would be fluttering about and sprinkling themselves all over the subway floor like confetti. These tickets have now been replaced by snazzy re-usable yitong travel cards, which resemble and work in the same way to London’s Oyster card (except, you get no discount on travel). 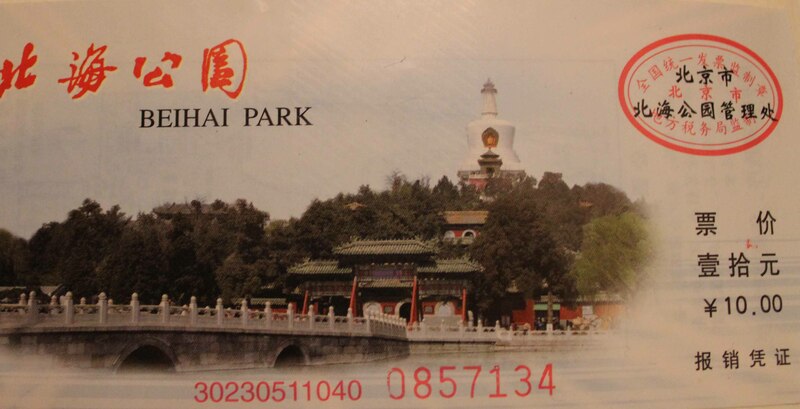 Beijing’s Yikatong travel card, which can be used on subways and buses. Being followed constantly by flocks of excitable Chinese school kids who were utterly impressed by our presence in the park. Do you keep ticket stubs from the places you visit? What makes you hang onto them? 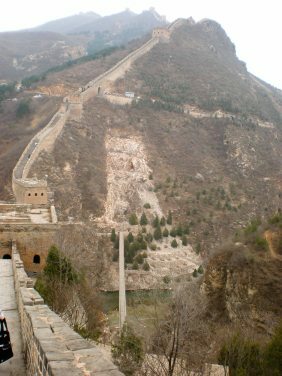 This post was inspired by a similar post by travel blogger extraordinaire – Troo Adventure. Go check it out! Thanks! They just make such handy souvenirs and make photo albums more interesting.